So I’ve got a (theoretical) simple internal website for a client that basically puts pushpins for their locations on a map. Since this is on their intranet we’ll have to pay approximately $10,000 to Google or Microsoft to license their products internally. This small company doesn’t have the kind of money (especially in this economy) to put down on such an application. Essentially spending $5-$10K before any coding has taken place is not going to get anywhere and the project is dropped. Why is it that both Google and Microsoft are stuck in archaic licensing agreements? The logical way to price these services is a metered service. 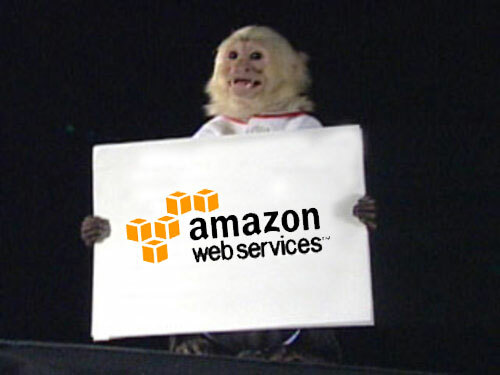 Much like Amazon AWS works, you’ll pay for what you use (with per-session costs decreasing as usage goes up). It would be monitored so I could see what kind of traffic I’m generating with the service and I could be billed monthly via credit card. We’ve been using Amazon S3 and EC2 with great results and it is very easy to justify the low initial costs and still be able to scale to larger applications if warranted. The other problem is that if I’ve got to spend that kind of money, I’m going to be developing larger internal applications than I would externally. You can’t do a simple internal mashup if you have to pay large enterprise licensing costs. I was told by one potential client who wanted a Virtual Earth application that ‘For that price we might as well buy another ArcGIS Server license’. For someone to say that it is cheaper to roll out ArcGIS Server for a simple mashup really puts it all into perspective and if you are going to develop with ArcGIS Server, you’ll probably have a larger application than a ‘simple’ Virtual Earth map. So I’m pleading with Microsoft and Google to revisit their map API licensing and move toward more of an Amazon AWS type service that will help get their mapping tools into more places than today. Everyone wants a Google or Microsoft map on their intranet website, but the current licensing is killing projects before they can start.